Since buying the Irie Joe my parents have been spending more and more of their time here in the Bahamas. We joke with them that they might as well just move here but they say Texas is still home. Over their many trips they’ve learned that staying one extra day after packing up the boat really takes the sting out of leaving. Their absolute favorite place to stay over is the Abaco Inn on Elbow Cay, just a few minutes down the road from Hopetown. When the boat isn’t being used it lives in Hopetown Harbour, which made transferring our bags to the Inn a cinch. We left Harbor Island in the same fashion that left Little Harbour, right before sunset so that we could sail through the night, arriving at our destination around sunrise. On the return journey, however, we had significantly more wind. Our sail from Little Harbour to Harbour Island had been a calm, slow motor-sail. We never made more than 5 or six knots. On the way back we averaged 10 knots under sail alone and reached occasional top speeds of around 15 knots. The strong wind also made our exit through the cut a bit exciting. We were never in any danger but we all got a little wet when a wave splashed over the bow of the boat before any of us had remembered to lower the front windows. It was peaceful to just sail for hours without the sound of the engines but we were actually going much faster than we had planned. My dad had calculated our leave time based on an average speed of 6 knots. So, of course, we arrived hours before sunrise and had to kill a bit of time before going through the cut at Little Harbour. Oh well, my dad and I had finished our 4 hour watch by then, which meant it was the perfect time for a nap. When my dad was planning this trip he had only one big goal—to sail his boat from the Abacos all the way to the nearby islands of Eleuthera. The 50 nautical-mile passage is not that far in the grand scheme of things. After all, sailors cross the Atlantic in boats smaller than the Irie Joe. But for us, an overnight crossing would be a big deal. Brandon and I had never sailed at night or farther than a simple day sail. We had also never sailed out into the open ocean. For my parents, this would be the first time (since delivering the boat from Maine to Hope Town) that they would leave the protected Sea of Abaco. My dad was super excited and had spent months going through charts and guidebooks, planning everything he could. But when it comes to sailing, planning only goes so far. In the end, it all comes down to weather. From Hope Town we sailed straight to Man-O-War Cay. By motorboat this would take less than an hour. But by sail you can stretch it out into a leisurely morning or afternoon. Man-O-War is vastly different from just about every other settlement in the Abacos. They have the same colorful buildings and white picket fences, but no matter how hard you try, you won’t find anyone willing to sell you a rum punch. The main source of revenue in the Bahamas is tourism and most of the villages are full of bars and restaurants happy to keep the you well-lubricated all day long. I suspect tourists spend more money after a few rum drinks. Of course, the locals also spend their fair share of time sipping rum punch. In fact, we noticed a distinct lack of rules regarding alcohol in the islands (or at least a serious lack of enforcement). Unlike in the states, you can order a drink to-go and drive off in your golf cart with a drink in your hand. I have no idea if this is technically legal but literally everyone does it. Except in Man-O-War. Our journey begins in Hope Town, a colorful colonial village on Elbow Cay, which is a small out island in the Sea of Abaco. Technically, every island in the Bahamas is considered an “out” island, all except for the capital island of New Providence where the capital city of Nassau is located. The Bahamian island chain includes around 700 islands or cays (the spanish word for “island”), many of which are uninhabited. We would spend most of our time in the Abacos, the most northern of the island groupings. 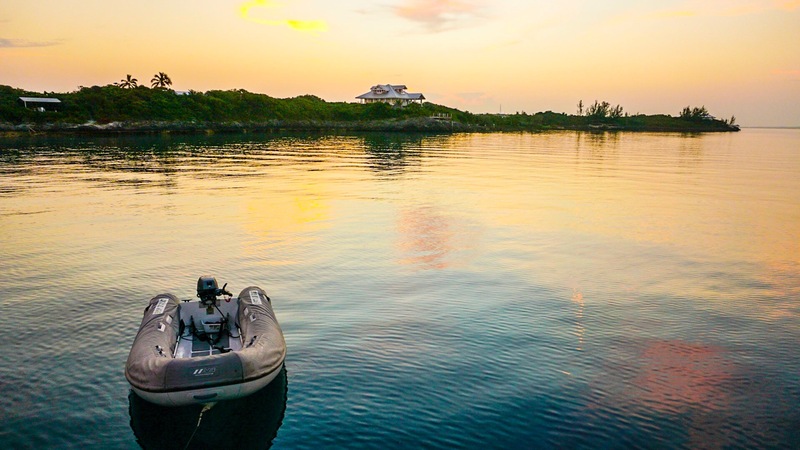 The Abacos consist of Great Abaco Island and a number of smaller cays on the Atlantic side. This string of small cays protects the Sea of Abaco from the raging Atlantic Ocean. The result is a sea of calm, shallow (generally under 12 feet! ), beautifully turquoise water. On the map below you can see the general location of the Abacos, just east of Florida and around the same latitude as Ft. Lauderdale. At center far-right you will find Elbow Cay. On Elbow Cay you will find the village of Hope Town, and in Hope Town Harbour you will find the Irie Joe, our home for the next few weeks. Update: Alpha 1 is on the rum! Those of you that also follow us on Facebook already know that we are currently in the Bahamas and having a ball. For those of you that only follow us here on the website, Welcome to the Bahamas! We are spending the entire month of December down here with my parents on their boat, the Irie Joe. Our boat is a 41 foot sailing catamaran built by Maine Cat out of Bremen, Maine. The boat is part of the charter fleet with Maine Cat Charters, which means that it is available for rent part of the year and my parents retirement plan the rest of the year. For more info on the boat and chartering visit www.mecat.com. The last time you heard from us we were off-roading through the sandstone canyons of Moab. Wow! We’ve gone through quite a change of scenery! Before we made our way to paradise here in the turqouise waters, we high-tailed it to Texas so we could spend Thanksgiving with family. It was the first time we had been home with family for Thanksgiving in six years! It was very special, but our visit was short. After all the turkey had been devoured, we set about getting the Alpha 1 ready for a month of storage. It felt so strange to leave our home after so many months on the road. But we were headed to warmer weather and clear water and couldn’t feel luckier. We’ve been in the Bahamas for a couple of weeks now. Actually, tomorrow is our last day on the boat. 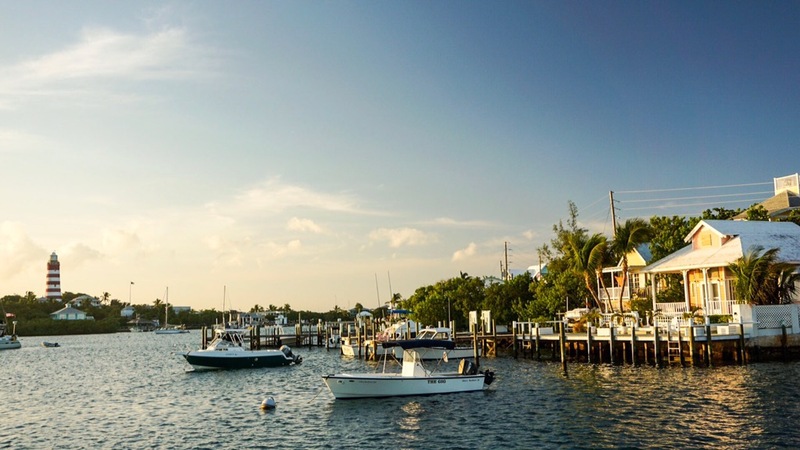 Thankfully, we plan to dull the pain of leaving the boat by staying at the Abaco Inn for a few days. From the Abaco Inn you can see the Sea of Abaco from one side and the Atlantic Ocean on the other. We haven’t seen it yet, but I can only imagine perfection. I had hoped to blog our Bahamian adventures while we were here but we’ve run into a few problems. For starters, we discovered the joy of living on island time. Everything moves at slower place here. Everything also comes with a healthy dose of rum. Nothing like rum to kick your level of productivity overboard. But mostly, the internet down here is slow and hard to find. Producing posts of the quality we like on a regular basis was just not feasible. After about a week of struggling to find wifi between the rum drinks and beaches, we decided to just enjoy our selves (take notes) and document the trip when we make it back to the states. So stay tuned! New posts will be coming in January when we return. Happy Holidays and Fair Winds!